Christmas and New Year mornings are always special. Those are filled with joy and happiness. Children wear new dresses and be filled with enthusiasm. 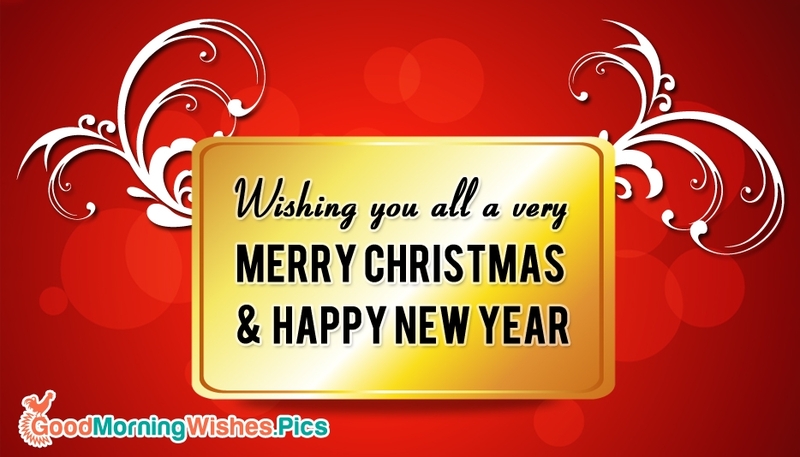 Make the Christmas and New Year mornings more special with this e-greeting with the wish "Wishing You all a very Merry Christmas and Happy New Year" which you could share with your friends and family.